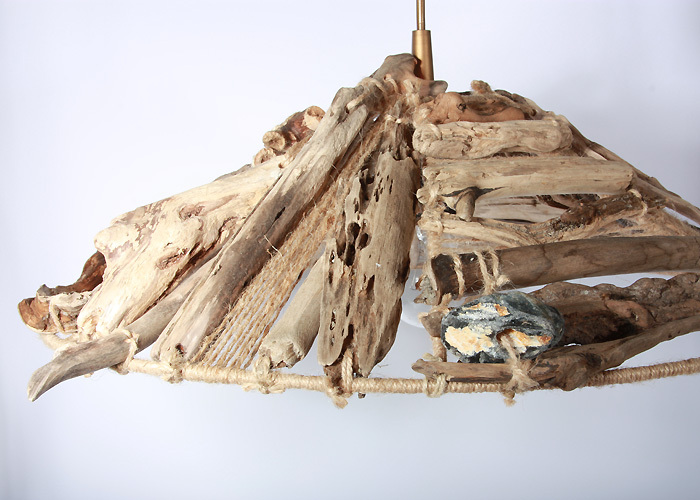 “Oslo” – A calming overhead lamp. 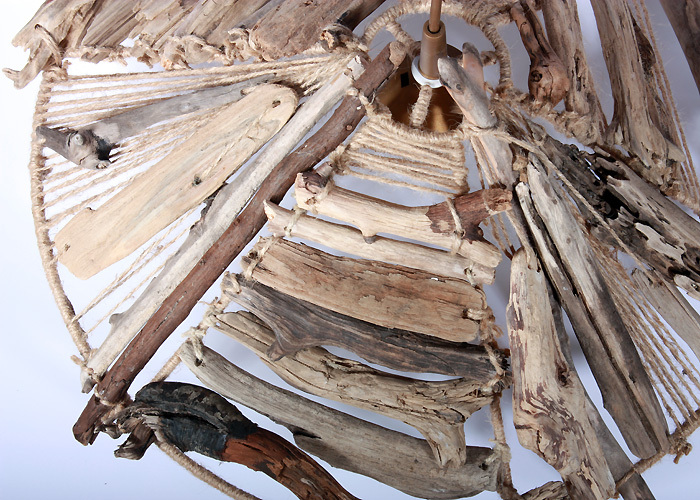 The special selection of driftwood pieces ranging from dark to light colouring and their arrangement make this lamp unique. 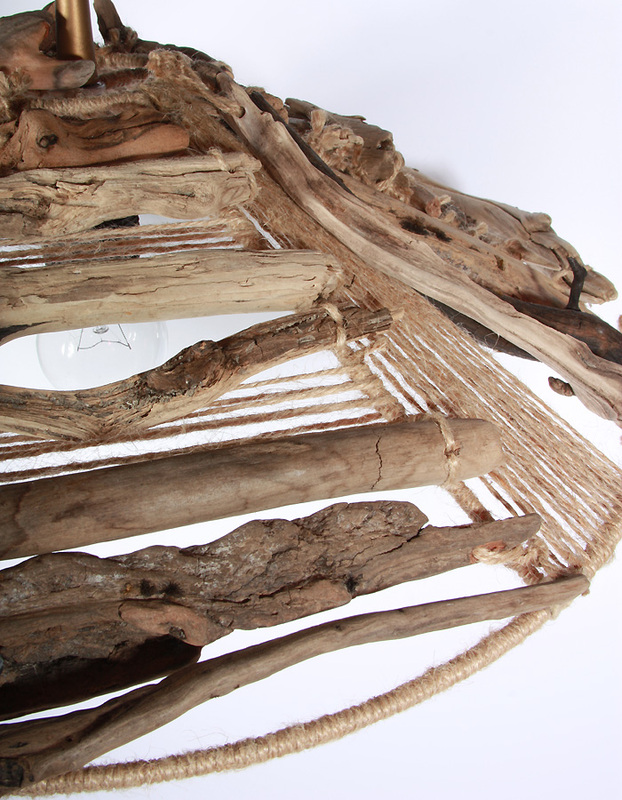 It fits dark and bright enviroments equally well and can be a warm and calming lightsource. The bronze coloured socket and cable blend nicely into the arrangement and give the lamp its noble touch.